I grew up in a household where the only spices used on a regular basis were garlic salt and black pepper. These days, I probably fall at the other end of the spectrum: I have shelves and shelves of spices from all over the world and, if anything, I tend to over rather than under spice my food. And I’m constantly adding ingredients to try to recipes to add some kick, spice, heat, acidity or some other dimension to excite the taste buds. But even a girl like me can appreciate a simple recipe that use just a handful of (or in this case just two!) ingredients. It’s a good reminder for me that sometimes basic is best. 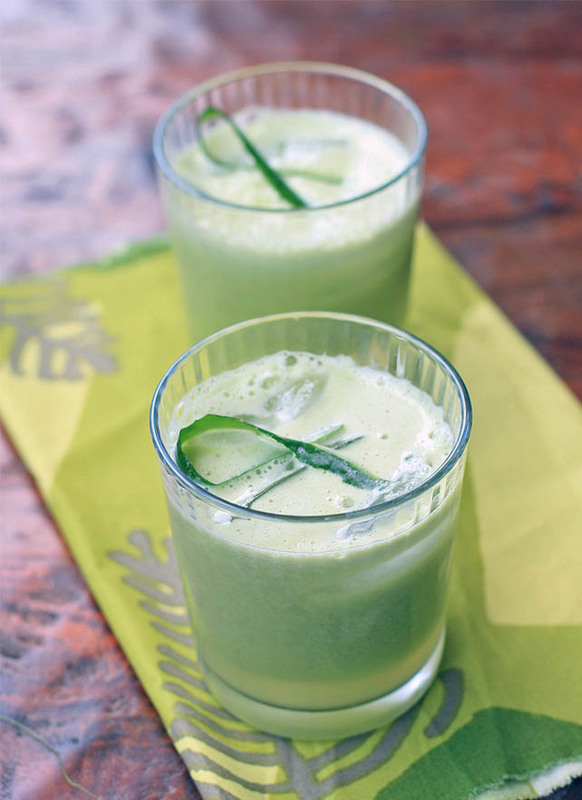 Unlike many of the other juices I’ve posted recently, there’s very little acidity or saltiness in this drink. 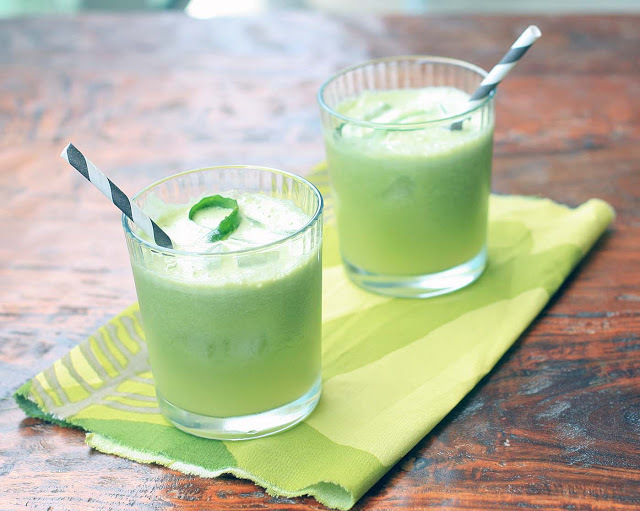 The apple and cucumber combine to create a cool, refreshing juice that’s not overly sweet. 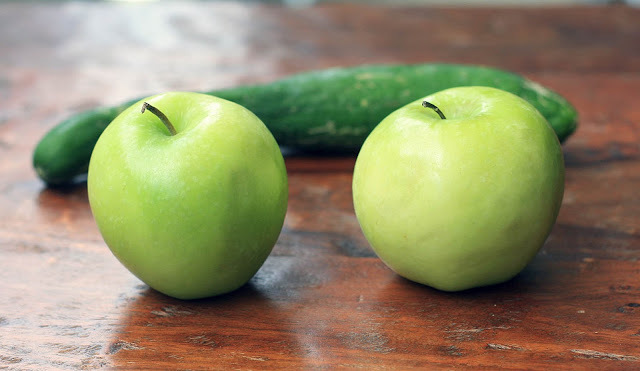 Process the apples and cucumber through a juicer. Serve immediately over ice.